Roads Taken is less a map than a meandering, less a history than a reflection, less a presentation than a prism, less a how-to guide than a journey. 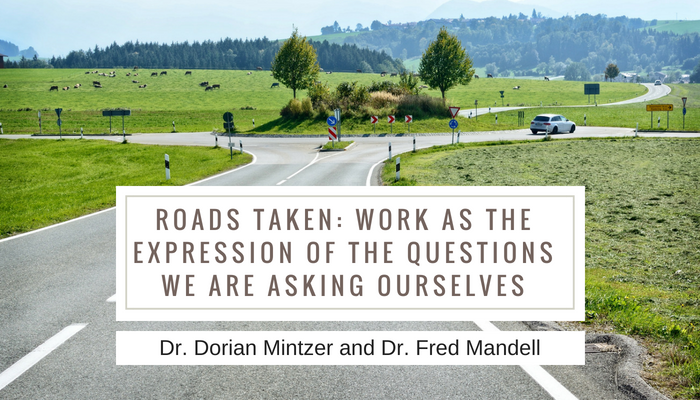 Fred Mandell will review his work journey as an outgrowth of a series of animating questions. He will share what motivated him to launch The Global Institute for the Arts and Leadership as a response to the world in which we live. He will reflect on his current arts-based leadership consulting as a way to enliven organizational culture and unlock innovation. Through these reflections, he will provide the opportunity to hold up a mirror to each of our own personal journeys. 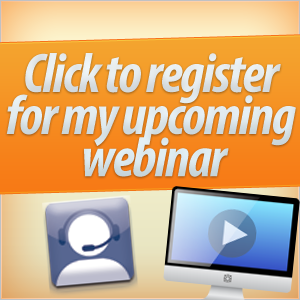 Fred will share his mistakes, vulnerabilities, insights, surprises in a search for wholeness. Fred Mandell is a former American Express Financial Advisors (currently Ameriprise) executive who has built leading marketing and sales businesses and run a multi-billion dollar investment company. During his tenure, he introduced new business models for the practice of fee-based financial planning into a large financial services institution. He currently heads up the Kalon Leadership Group (KLG) whose mission is to unleash the power of the arts to help leaders create a future that really matters. KLG works with corporate clients in the areas of leadership, innovation and organizational culture. 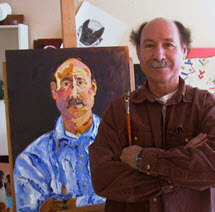 Fred is an author, nationally collected sculptor and painter and catalyst for leadership change. He has helped thousands of individuals and their organizations to develop their creative skills and enhance their personal and professional growth. In 2014 Fred launched The Global Institute for the Arts and Leadership, a not for profit entity, whose mission is to build a more peaceful, sustainable and beautiful world by using the arts to catalyze social change. He currently serves as Chairman of the Board. 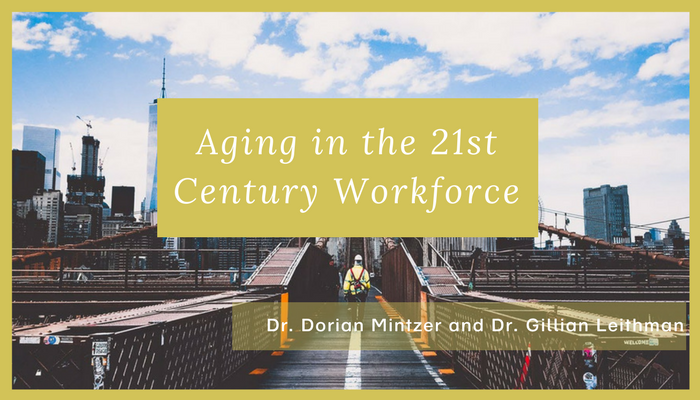 In her talk on the work motivation of mature workers, Dr. Gill will discuss what older workers want out of work as they transition into the second half of life. Based on her research, which is part of her Ph.D. thesis, she will discuss how people determine whether they should continue to work beyond age 65 or retire. She’ll also focus on the importance of achievement as people age. Lastly, Dr. Gill will share her findings regarding “generativity”, it’s importance for an organization’s competitive advantage, and why it requires a work environment that nurtures and values expertise. 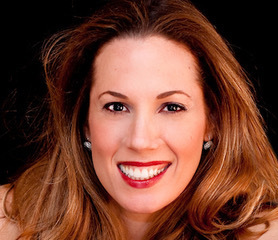 Gillian Leithman, Ph.D. is a corporate trainer specializing in health and wellness seminars and workshops. Gillian has facilitated programs for some of Canada’s premiere businesses and organizations such as Bell Canada, Air Canada, TD Canada Trust, Federal Express, Novartis, Telus, Hollis Wealth, HSBC, the RCMP and Exxon Mobil. 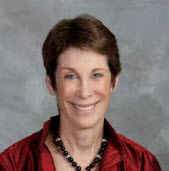 Dr. Leithman is best known for her pre-retirement seminars, which focus on the psychological and social aspects of retirement planning to ensure a smooth and fulfilling transition. When she is not facilitating seminars, she teaches in the faculty of management at the John Molson School of Business, where she is an Assistant Professor. Her research focus encompasses the career motivation of older workers, the retirement transition process, age-friendly workplace and knowledge sharing cultures. Her research has been featured at the Canadian Psychological Association, the Ontario and Canadian Gerontological Associations, The Canadian Council for Small Business and Entrepreneurship and she has received the Best Paper Award from the Administrative Sciences Association of Canada twice. She has also been featured in the Montreal Gazette, Reader’s Digest, and the National Post and been a guest on the Tommy Schnurmacher radio show and on CBC. 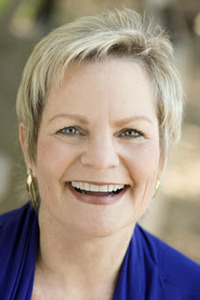 Dr. Leithman is the founder of Rewire to Retire™ and Life Skills Toolbox™. Are you among the fifteen million Americans over fifty and childless by choice or circumstance? Solo aging gracefully and a happy retirement can be yours! American Baby Boomers are aging and fifteen million of them never had children. Who will take care of them? Unprecedented in U.S. history, this demographic will create challenges for these individuals as well as for society. This makes retirement planning for solo agers all the more essential, including issues like choices in housing, relationships, legal arrangements, finances and more. The solo ager needs to plan for the future as though their life and well-being depended on it. Solo Agers: what, where and who are they? 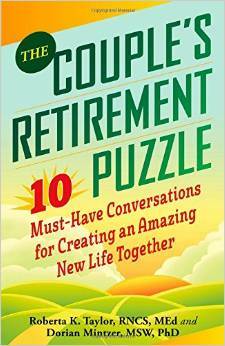 Sara Zeff Geber, Ph.D., is an author, speaker, and certified retirement coach. Sara has made raising awareness of the special challenges of Solo Agers her personal crusade, speaking and writing about it for the past six years. 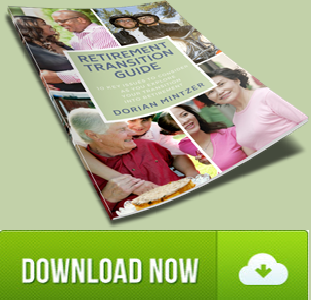 Her recently released book, Essential Retirement Planning for Solo Agers, is available as an e-book or in paperback. 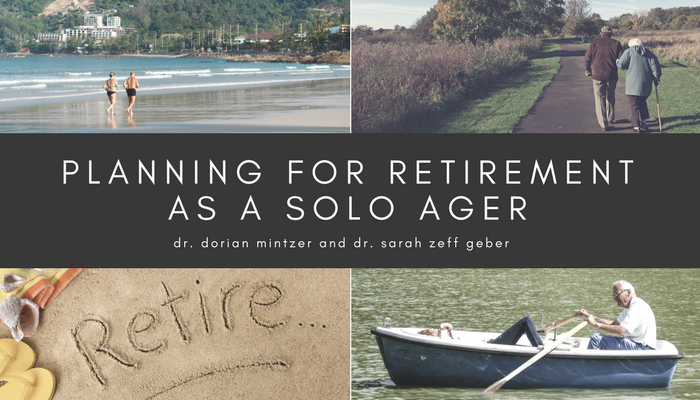 With her coaching, writing, and speaking, Dr. Geber helps Solo Agers understand what they need to do to prepare for the future in retirement and beyond. Sara has a Ph.D. in Counseling and Human Behavior. She is an active member of the Life Planning Network (LPN) and is on the leadership team for the NorCal chapter of LPN. She is also a member of The Transition Network, a national organization that supports women over 50 as they go through life’s journey. A Solo Ager herself, Sara is a native of the San Francisco Bay Area and lives with her husband and their canine companion in Santa Rosa. At both ends of the age spectrum, there is a growing, and largely untapped, demand for communities designed to foster closer connections, health, and wellbeing. How can we create homes and communities that are inspired by a profound respect for simpler living, energy-conscious building, and human-oriented design? 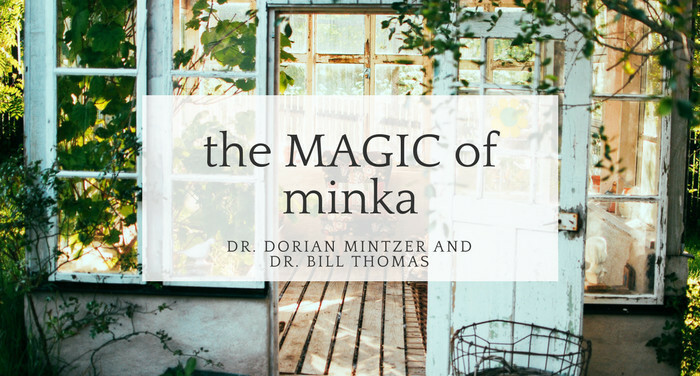 Named by The Wall Street Journal as one of the top 10 Americans shaping aging, Dr. Bill Thomas is known worldwide for transforming long-term care through The Eden Alternative, The Green House, and Minka models, radical alternatives to institutional care. Thomas designed the nation’s first senior ER, now the standard for hospital emergency rooms nationwide. 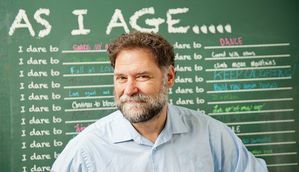 He most recently came off a 125-city Changing Aging Tour that used music and visuals in live performances to promote a new and disrupting understanding of aging. 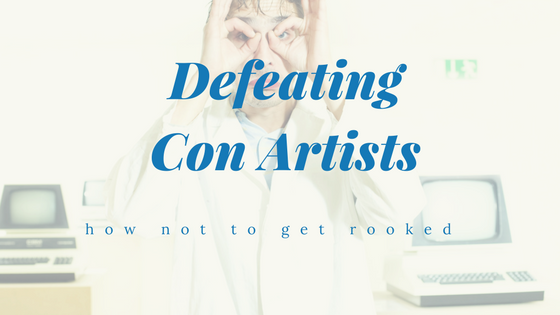 How do con artists target you? Rip-offs come from many different angles, including healthcare and health insurance fraud, counterfeit prescription drugs, funeral and cemetery shams, anti-aging products, telemarketing cons, internet deceit, investment schemes, reverse mortgage and life insurance rackets, and more. Sadly, not only do strangers harm seniors, but also people close by hurt them as well. The FBI catalogues common frauds perpetrated against people who grew up in the 1930s, 1940s, and 1950s, a time when being polite and trusting was considered a virtue. Regrettably, these deeply engrained traits also make those generations easier marks. Moreover, older people tend not to report scams because they don’t know whom to tell, are too ashamed, or don’t even realize that they have been swindled. Not long ago, an elderly client told me how she had lent the Visa card that was linked to her brokerage account to her son to use for the day. She forgot about it, since she rarely used that card herself. It took her almost a year to discover that he had been using it to steal money from her on a regular basis by withdrawing funds from a cash machine. He would take only small amounts, so that she wouldn’t realize that the changes in her portfolio were due to withdrawals. She would just assume her stocks and bonds had dropped a little in value. Another woman’s nephew, who was a lawyer, told her that he was investing her money with a major, international investment house. He even printed false statements with the logo of the company on it. When she asked for her money back, he told her the investment house had gone out of business. And yet another client kept lending money to help a sick friend pay for medical care. Half a million dollars later, he finally said to himself that something is very wrong here… and then the sick friend disappeared. 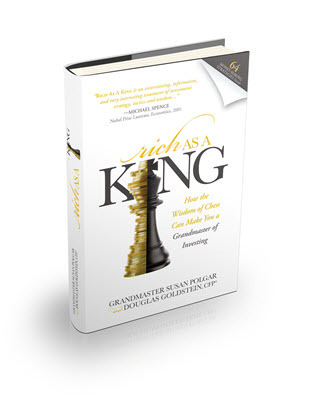 When I told these stories to Susan Polgar, my co-author of Rich As A King: How the Wisdom of Chess Can Make You a Grandmaster of Investing, she quickly pointed out the chess analogy: Never blindly jump to capture an opponent’s chess piece, since he may intend to sacrifice it in order to get a much larger compensation from you. Stop and think about the whole plan and why he’s giving you something for free. Double check with trusted family members, lawyers, accountants, financial advisors, and other professionals before you commit to any major deals. Regularly inspect your credit report for suspicious activity. Get it for free every year from each of the three credit rating agencies. Go to www.richasaking.com/credit-report to learn how to get your own credit report. Never do business over the phone unless you initiate the call. Make sure people don’t crowd around you when you withdraw money from an ATM. Be wary of all links and websites that someone emails you. If you get an email from your bank, for example, that asks you to click on a link, don’t! Instead, log into your account the way you normally do and see if any messages await you there. Never respond to emails that ask for your account information. Review your bank and brokerage statements on a regular basis, and ask your financial advisors questions if you don’t understand why the balance changed more than you anticipated. Susan Polgar, the world chess champion who wrote Rich As A King with me, once told me over a game of chess… as she captured piece after piece of mine… that the way to avoid getting your assets snagged from under your nose is by having a well thought-out strategy at the outset. If you develop a financial plan along with a Certified Financial Planner™ professional, you can then tell anyone who approaches you with a quick-money scheme, “No thanks. It’s not part of my plan.” And if he really persists, ask him to give you the proposal in writing and show it to your advisor to get his input. Thinking strategically and planning ahead not only helps keep your financial life on track, but provides an easy way to benchmark whether or not you’re meeting your goals, and provides a safety net to prevent you from falling into a scammer’s schemes. Sticking to your plan, and avoiding dramatic moves is a simple way to minimize the chances you (and your money) will fall into a scammer’s hands. 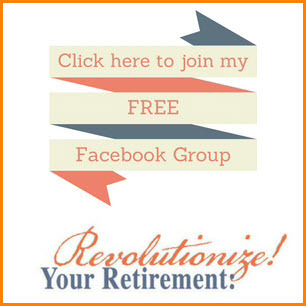 Doug Goldstein will be my guest on my November 25th episode of my Revolutionize Your Retirement Expert series. Click here to see our upcoming episode.